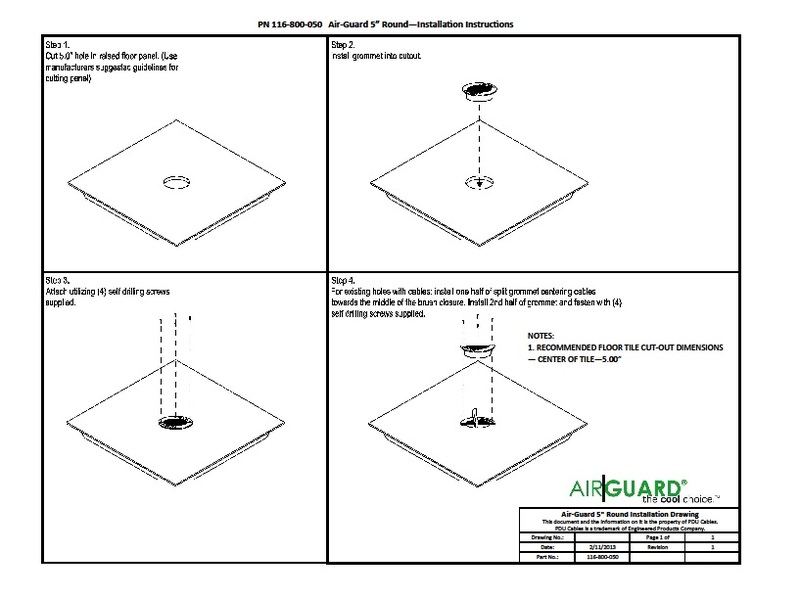 The AirGuard 5” Round is the superior choice for sealing smaller cable cutouts in a data centers’ raised floor. The perfect solution for both new and existing cable cutouts, the AirGuard 5” Round is a data center’s best option when looking to limit airflow bypass and under floor contamination for installations of smaller bundles of power and or data cables. 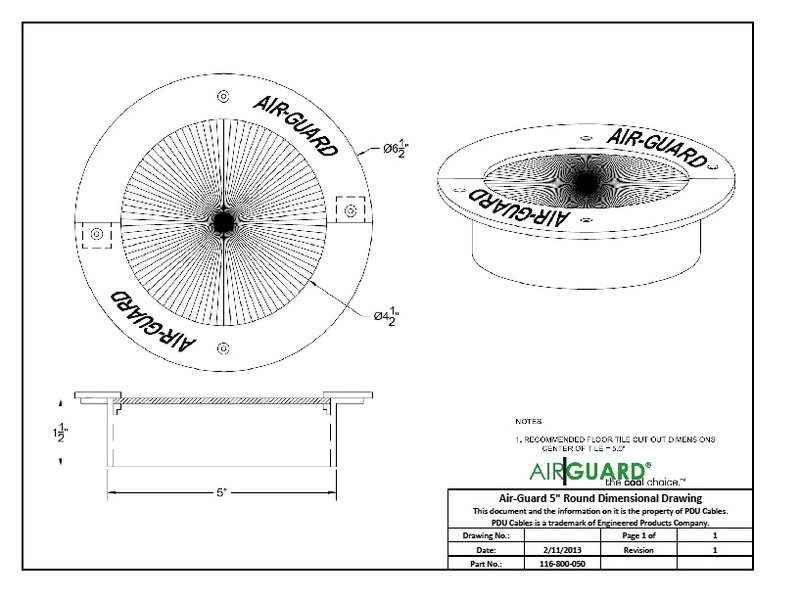 The AirGuard 5” Round utilizes a heavy duty double layer brushed grommet rubber gasket system, incorporating a flexible EPDM synthetic "rubber" gasket material along with AirGuard bush technology to deliver airtight seals around cables, helping to eliminate air leakage and control air bypass in under-floor air installations. Together the brushes and rubber gasket work in tandem to hold cables in the center of the cutout while limiting the passage of contaminants under the floor. The dual stage sealing system provides a superior seal to prevent airflow bypass, reduce energy consumption, and aid in the implementation of hot/cold aisle containment or floor configurations.